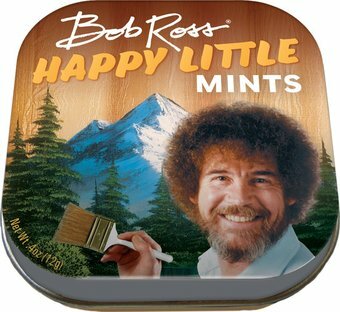 Custom reusable tin of happy little mints. Net wt. .40 oz. (12 g.).